With all that is happening in the world today, especially the recent terrorist events in France, many people are concerned about the security at the Super Bowl 2015. The University of Phoenix Stadium in Glendale, Arizona holds up to 78,800 people in standing room only capacity. Keeping all these people safe requires a lot of security. Costs for this security will run into the multiple millions of dollars, involve multiple agencies, thousands of people and state-of-the-art technology. Federal, state and local law-enforcement agencies are involved in the planning and tactical application of security for the Pro Bowl and the Super Bowl being held in Glendale, Arizona. With the many events planned pre and post of these games, there are definitely challenges in keeping everyone safe. The security teams will be charged with protecting not only the 75,000+ fans attending the game but also the teams and team hotels, the various Super Bowl parties and special events. 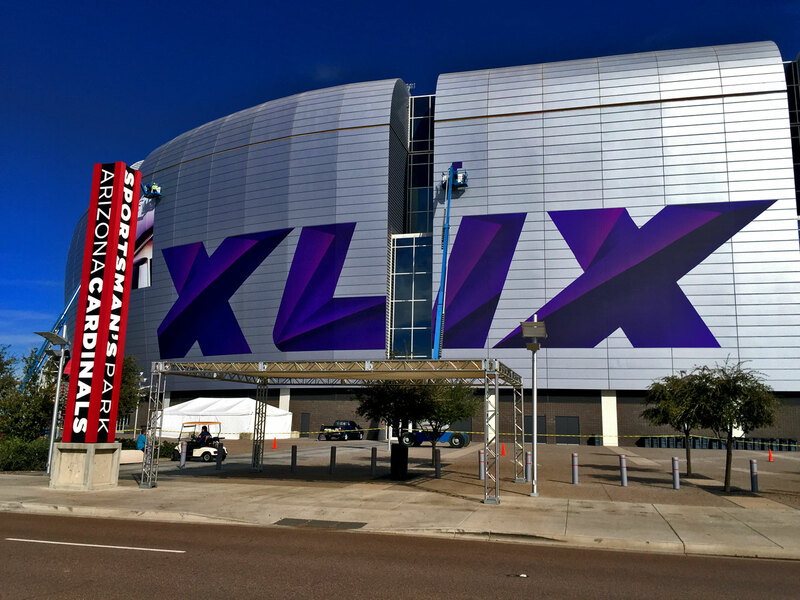 There are approximately 50 local, state and federal law-enforcement agencies in 2 dozen specialized work groups assigned to protect team hotels, Super Bowl parties in Scottsdale, the throngs expected to attend the NFL Experience in downtown Phoenix and for the actual game in Glendale. The the teams of officers and third party contractors will be conducting air surveillance, involved in the detection of explosive devices, protecting celebrities and dignitaries among other things. Here are some of the security items in place for the Super Bowl 2015. The camera system will rely on Avigilon’s 2-megapixel HD pan/tilt/zoom (p/t/z) cameras for additional coverage and their software which allows security personnel to operate and control cameras easily and in real-time. Safe Management is hiring people to maintain security in and around the stadium. Since 2006 S.A.F.E. Management has had the role of primary security provider for the NFL’s Super Bowl. Each year, S.A.F.E. recruits and trains local personnel to provide security services for pre-event, game day and post event festivities. For the regular season Arizona Cardinals game, Glendale has 150-200 officers both inside and outside the stadium at each game. Because of the increased attendance and ancillary events, this will require many more. The additional overtime hours needed for this coverage will run in excess of $1 million dollars. And it’s not just the city of Glendale adding security. Other metro cities are stepping up security. As mentioned above there are 24 specialized work groups working on security issues. Security screening for Super Bowl 49 will be significantly heightened compared to regular season game. Anything you are carrying will be thoroughly inspected. There are a number of prohibited items (see list below) that you may be asked to return to your vehicle. Be advised that the NFL discourages participants from bringing any type of bag to the game. If you do need to bring a bag, follow the guidelines below to ensure you’ll be allowed in. The list below is from the NFL’s Super Bowl 49 website. • Small clutch bags, 4.5″ x 6.5″, with or without a handle or strap, can be taken into the stadium with one of the clear plastic bag options. • An exception will be made for medically necessary items after thorough inspection at a gate designated for this purpose. Prohibited bags include, but are not limited to: purses or bags larger than 4.5″ x 6.5″, coolers, briefcases, backpacks, fanny packs, cinch bags/draw string bags that are not clear or exceed 12″ x 6″ x 12″, luggage of any kind, computer bags, binocular cases and camera bags, and large traditional seat cushions that have pockets, zippers, compartments or covers. Note: Prohibited items and items determined to not be appropriate for entry into the stadium will be the responsibility of the ticketholder and cannot be accepted or checked by the NFL, University of Phoenix Stadium or the Glendale Police Department. We urge spectators to secure these items in vehicles or their hotel rooms. The NFL, University of Phoenix Stadium and the Glendale Police Department will not store prohibited or excluded items for spectators. Cameras and Binoculars – Small cameras and binoculars will be allowed. No spectator cameras with lenses more than six inches (6″) long will be permitted. Again, camcorders will be prohibited. Binocular cases and camera bags are not permitted.